Hey y'all! So guess what?! 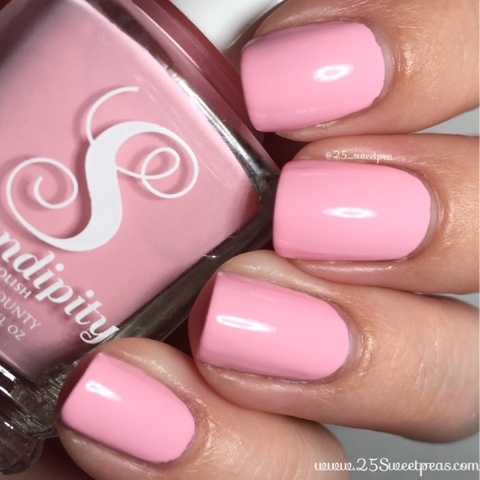 Serendipity Nail Polish released a new polish line yesterday called Beach Please! and the line is gorgeous! 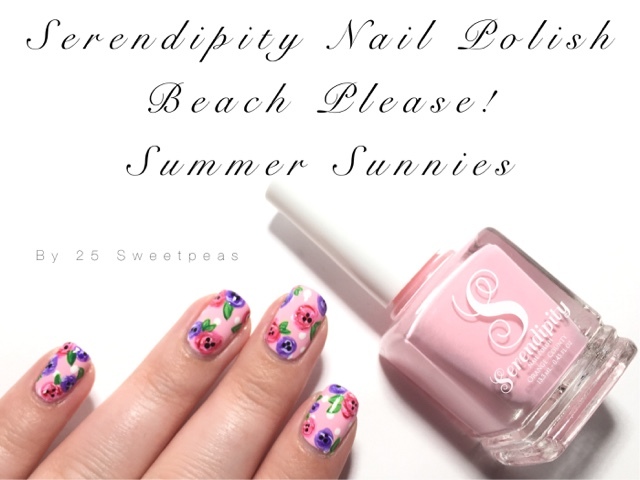 Over the next few days I will be sharing the new colors and first up is Summer Sunnies. So keep on reading! 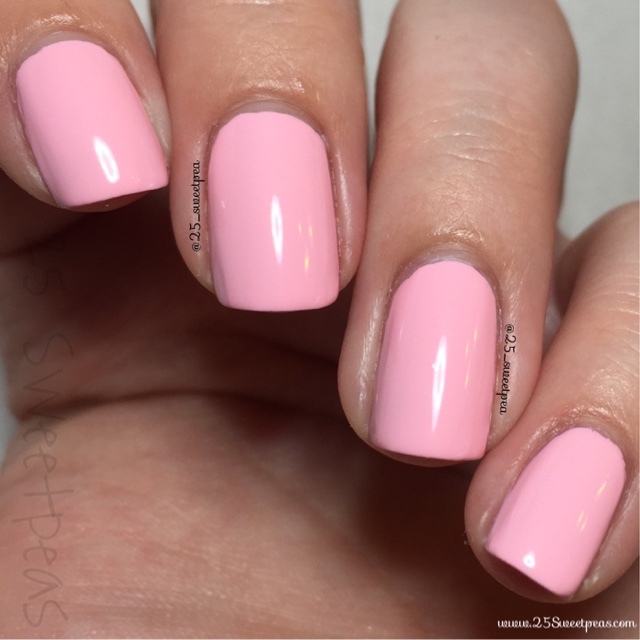 This is 2 coats of Summer Sunnies which is the perfect baby pink. The formula was wonderful and I can already tell it will work for gradations so I'm excited to try that! Plus I love how this pink makes me look tan! I'm that type of skin tone that my tan is still pinkish but to me it's tan! Haha!! Isn't it just gorgeous?! I mean I just can't get over how good it looks! Plus with such a great formula. 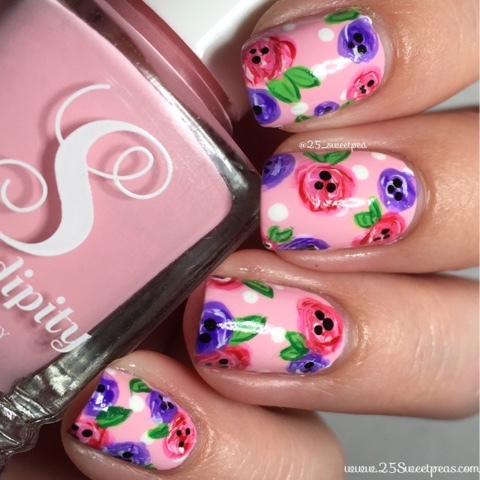 Now I thought it would be fun to add a fun springy floral and so I did! 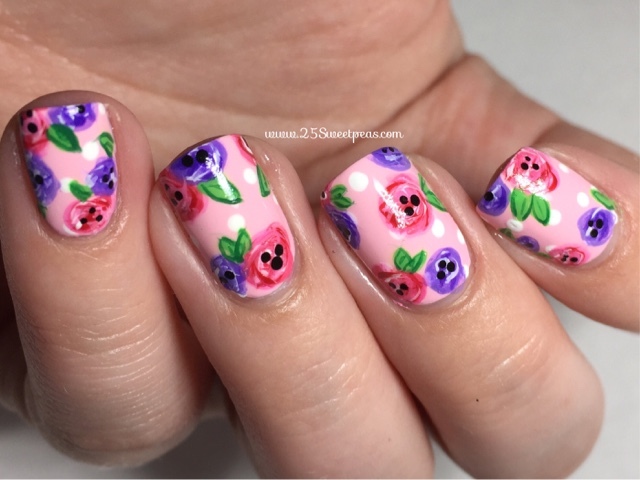 I started with a white dotted background and then added the flowers. :) All of the flowers and dots are actually acrylic paint. I used a medium sized dotter, Berry wine brushes, and a Twinkled T brush. Well I hope you all enjoyed this post! If you are interested in picking up this color you can at the Shop link below. Plus with any purchase you can use the promo code TOPCOAT and get a free top coat with your polish!